What's that peeking out of a crack in the old tree stump? 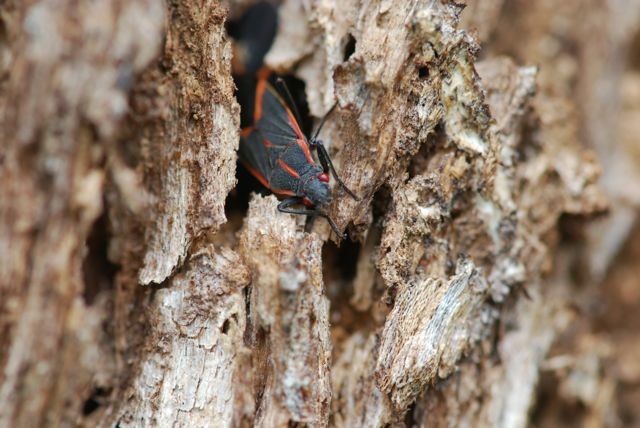 Why it's a boxelder bug checking to see if spring has arrived. 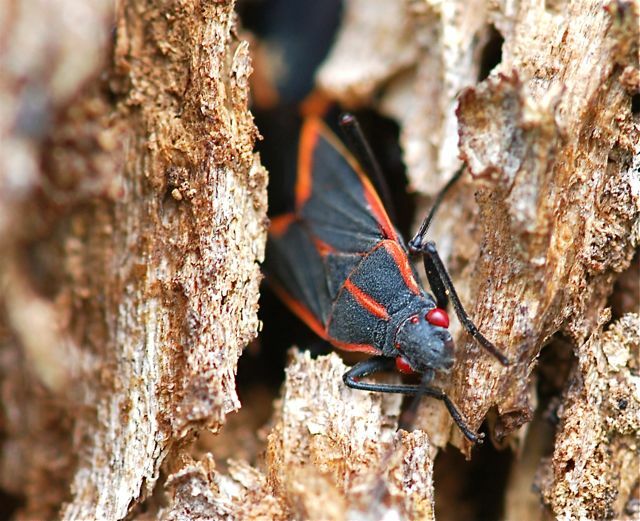 Have you ever noticed how red a boxelder bug's eyes are? 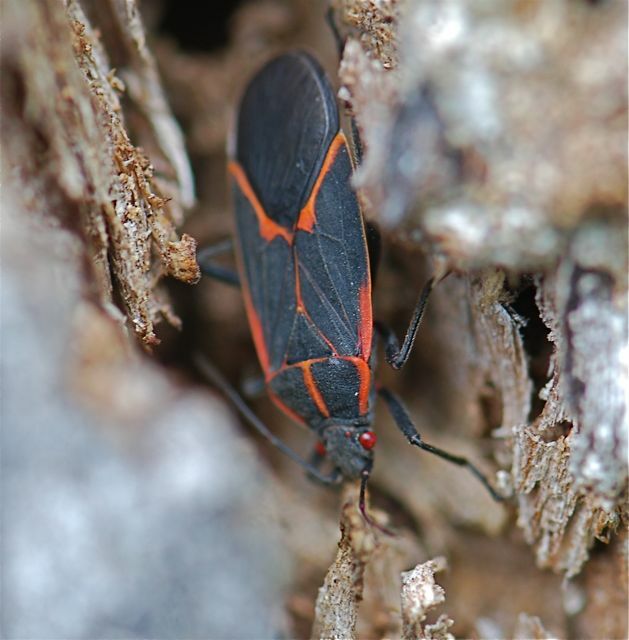 I just found out that they have boxelder bug day festivities each fall in Minneota, Minnesota. This year's event will be held September 9-11, 2011. Cool! Let me know if you attend. Yes, those small bumps at the top of the head of most insects are secondary eyes. They are called ocelli.